TY8000 series Electronic Universal Testing Machine is suitable for tensile, compression and all other special load test for non metal material for example, plastic, rubber, thread, wood, alloy, PVC, spring , electrical wire and cable, composite, profiled bar, waterproof roll, etc. They are essential testing instruments for quality testing section, university and college, research institution and industrial and mining enterprise. Looking for ideal Plastic Film Tearing Test Manufacturer & supplier ? We have a wide selection at great prices to help you get creative. 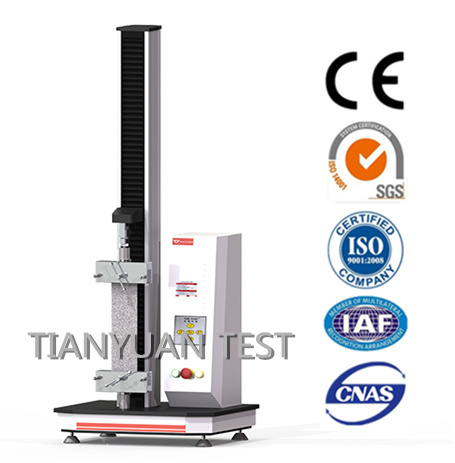 All the Plastic Material Testing Machine are quality guaranteed. We are China Origin Factory of Plastic Film Puncture Test. If you have any question, please feel free to contact us.